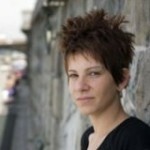 Prose writer, screenwriter, author of books for adults and children. Winner of the Jiří Orten Award (2008) and the Magnesia Litera for best book of the year (2010) and twice nominated for the Josef Škvorecký Award (2007 and 2010). Her books have been published in several languages including Italian, Polish and Hungarian. She was born in Prague in 1982. 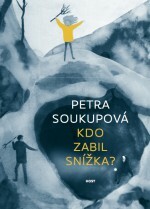 Soukupová has demonstrated an all-round literary talent: from the book’s overall structure through to sketching out particular situations, to one-liners. She has a precise vocabulary, a terse but functional style, and she can see into the heads of children as well as men and women. When she is writing she is obviously enjoying herself. She studied screenwriting and dramaturgy at FAMU. Since 2011 she has worked as a script editor for the TV series Ulice (The Street) and she has also contributed to the sitcom Comeback as a writer. This was followed by the book Zmizet (To Disappear, Host, 2009), composed of three texts examining childhood – cruel, full of injustices and slights. They are linked by the subject of the loss of someone or something important in the family. In Zmizet, Soukupová presents a frank and rather frightening picture of contemporary family life. This can be summed up by the words of the short story Zmizel (He Disappeared): “Somehow or other we’re living. It isn’t always bad, but it’s hardly ever good,” quotes Lucie Mašová in a review in Literární noviny. 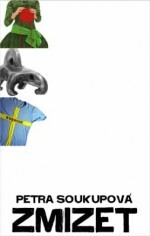 The author was awarded the Magnesia Litera (2010) in the category of prose for the book. 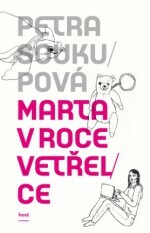 This was followed by Marta v roce vetřelce (Marta in the Year of the Alien, Host, 2011) about a girl who accidentally becomes pregnant. 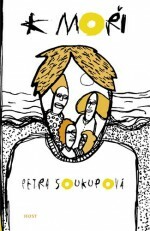 The book is stylized into the form of Marta’s diary; like Petra Soukupová’s other heroines, she is really still a child but is suddenly violently thrust into adulthood. “Soukupová ensures the authenticity of the diary through her thoroughness: she does not even delete superfluous days in which nothing at all happens, does not remove and “edit” entries dully repeating what was eaten and what was watched on television,” writes Olga Stehlíková in a review. 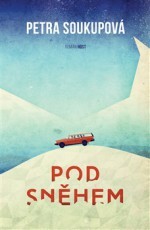 Petra Soukupová’s latest novel for adults is called Pod sněhem (Under the Snow, Host, 2015). In it the author returned to her debut work K moři in terms of subject matter and form. It is about a single day in the life of three sisters who have set out together to the house where they grew up for their father’s birthday celebration. Once again Soukupová depicts diseased family relations in which it is not possible to find any point of intersection, from the choice of partners to decisions about whether to give the children fries with their meal. The strength of the chosen form lies primarily in what the characters think, what they would like to say and what actually comes out of their mouths. During the journey, all of the sisters think back to their childhood, which is once again the root of all their present-day traumas. 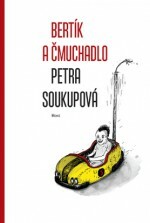 Soukupová is also the author of children’s books; Bertík a čmuchadlo (Bertie and the Snuffler, Host, 2014) is unexpectedly benevolent and positive in tone, despite the fact that this book also deals with the darker aspects of adolescence.